Austin-based theatre company Paper Chairs spun a tale involving the darker side of human emotions last Saturday at the Lost Horse Saloon. The company was on tour and had been performing their Murder Ballad Murder Mystery musical in bars across Texas. 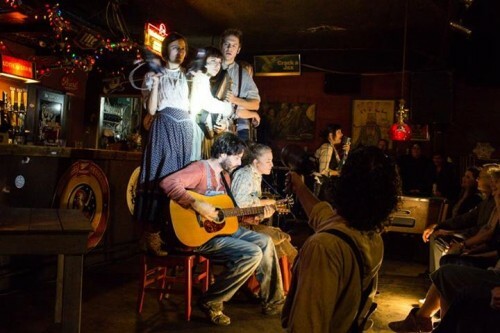 Marfa Public Radio’s K. Yoland spoke with the company at the Lost Horse Saloon.